3,000 Cubicles in stock! Come visit our Cleveland and Columbus Ohio warehouses and kick the tires! Dozens of sample cubicles set-up for you to view. Herman Miller Cubicles, Steelcase Cubicles, Haworth Cubicles, Knoll Cubicles just to name a few. Many different configurations, panel heights and colors. We have been buying and selling Used Cubicles for 15 years. We can help you choose a cubicle brand and size. Design your space to promote good work-flow. Deliver and Install the cubicles. Service you for the next 20 years. 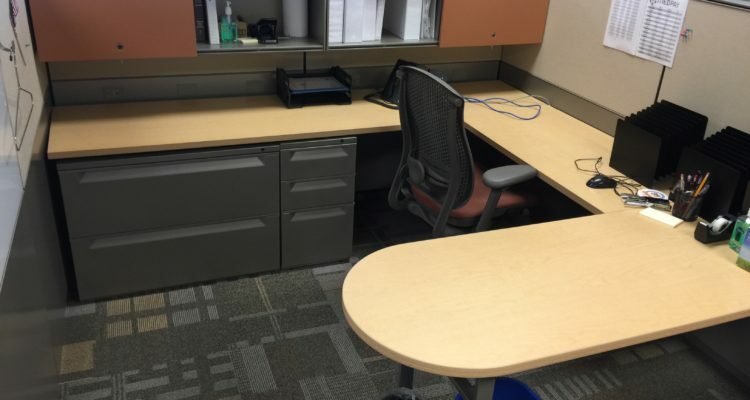 Remanufactured and New Cubicles too. Hundreds of Gently Used Office Chairs in stock, cubicle task chairs, private office chairs, side chairs, conference chairs, training room chairs, lunch room chairs, lobby chairs, Stools and more. Office chairs from Steelcase, Herman Miller, Haworth to name a few, over 50 different manufacturers represented. Reupholstered chairs, remanufactured chairs and even chair repair. No Comments on "Used Office Furniture in Ohio"